Nurses have a very unique way of educating patients and families about their care issues. These explanations, though simplified for understanding, are important because a patients life can depend on it. This unique ability qualifies us to interpret medical terminology, disease processes, health issues and the healthcare system into a language that all parties of the litigation process can understand. This is just one way a Certified Legal Nurse Consultant can save you valuable time and money and produce outstanding results. With a combined 34 years of nursing experience, Susan Waters and Christine Osborn couple these qualifications with that of a Certification in Legal Nurse Consultancy. Both excellent clinicians who have expanded their love of Nursing to an area that brings to you, the Attorney, a cost effective and time saving service. As Certified Legal Nurse Consultants, we provide comprehensive and highly qualified services to attorneys, insurance companies, government agencies, healthcare facilities and private corporations. Our business enables us to expand our patient advocacy role beyond the hospital bed. Into a profession that has not only helped patients and their families gain justice when needed, but also assisting those legal institutions understand the world of the Medical Record to be able to represent people. We welcome the challenge of both Plaintiff and Defense cases. 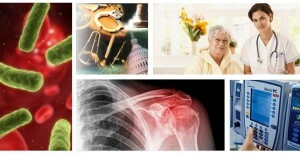 Combining the experts in the legal system with experts in nursing. Producing the best results possible. Don’t waste valuable time and money when you can incorporate our service to perfect yours.